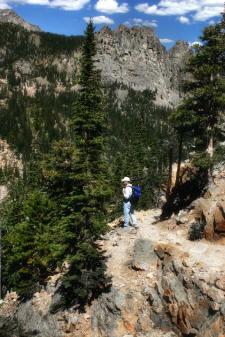 The Odessa Loop hike has to be one of the best hikes ever. We’d heard it was about 8 to 9 miles total, and that there were 2 ways you could go. One would start from the Fern Lake trailhead – which ends up being almost entirely uphill, and which loses something in beauty because of the views you get (or don’t get) going in that direction. 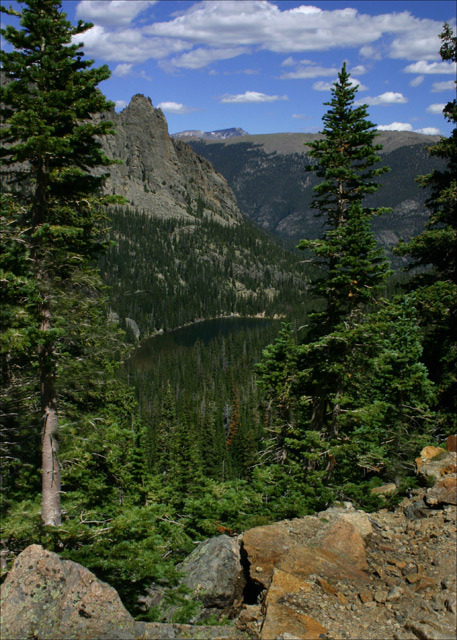 The other way begins at the Bear Lake trailhead, which is fairly steep for a few miles, then heads downhill the rest of the way to the most incredible vistas and views your eyes can behold. We opted for the Bear Lake beginning and headed out rarin’ to go. As we got closer to the turning point, you started seeing openings where you could see gorgeous mountain vistas looking down on Bear Lake and Hallett’s peak through the trees. 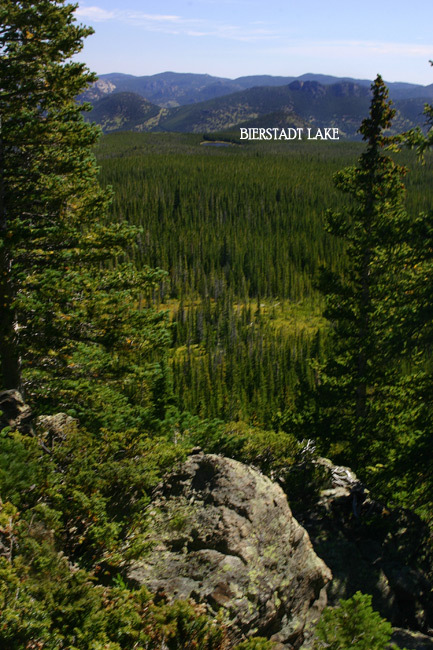 At one vista, you could look across and see Bierstadt Lake too. 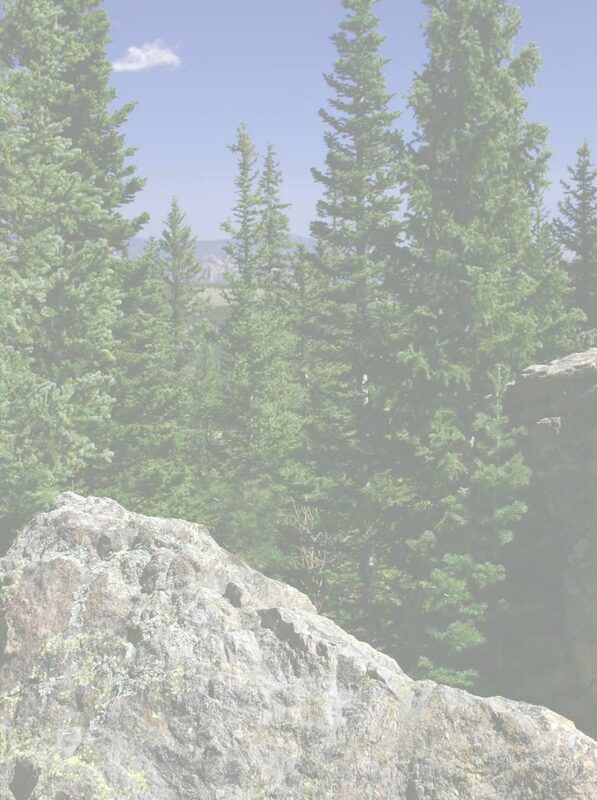 We remembered hiking to Bierstadt once and feeling when we got there that we were pretty much on top of the world. But here we were looking very much “down” on that lake in the distance. Then it happens. You come around the mountain, and it feels like a summit of sorts because you can see that the trail starts heading downhill after that. But believe it or not. . . as ready as we were for “downhill”, it didn’t look nearly as great to us as the view we were blessed with! The trail is pretty narrow, and drops off into incredible beauty! On the right side of the trail, there are enormous boulders that give the trail a really unique feel to it. 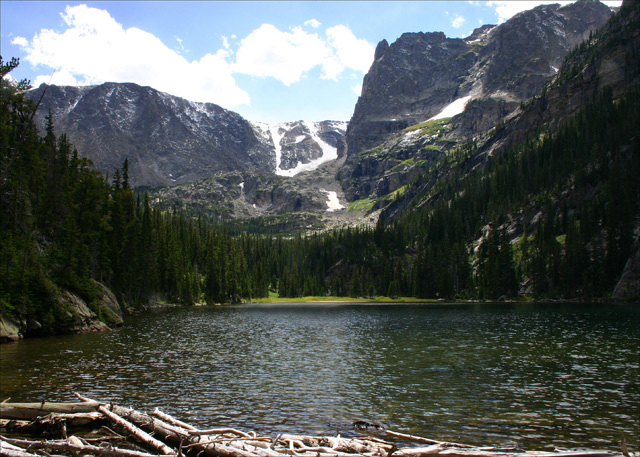 As you keep walking, you come to where you can see your main destination below: Odessa Lake. It looked so pretty! When we got there, we stopped and ate a sandwich. We were the only ones there, and had seen very few people on the trail so we had the experience all to ourselves. I think that was the best tasting sandwich I ever remember. Just being surrounded by those mountains and having reached our destination. It was so great. 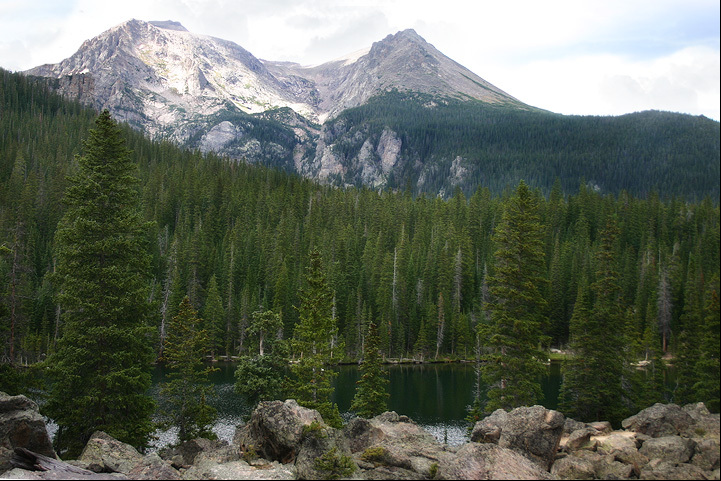 We thought that was about it, but a little further down the road, we came to Fern Lake which is equally beautiful. This hike really had a LOT of treats in it! We totally loved it! Even writing about it, makes me wish I was on that trail right now!